The Government Accountability Office issued a report Monday saying the Trump administration hasn't provided full analysis of the cost of the proposed U.S.-Mexico border wall. The report states the Department of Homeland Security failed to collect key information on the cost of the wall, acquisition baselines, as well as contributions of previous barrier and technology deployments, which creates an "increased risk" that it will cost more or take longer to construct than expected. "Without assessing costs when prioritizing locations for future barriers, [Customs and Border Patrol] does not have complete information to determine whether it is using its limited resources in the most cost-effective manner and does not have important cost information that would help it develop future budget requests," the GOA wrote. In addition, the report stated DHS officials didn't properly document plans for the CBP to build a portion of the wall in San Diego. 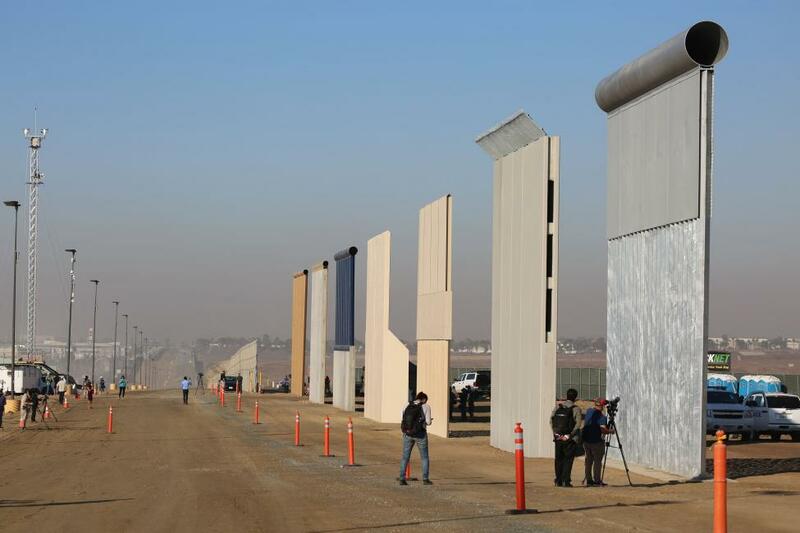 [post_ads]"Without documenting plans to require CBP to follow the DHS acquisition process for the San Diego barrier segment, DHS may not establish cost, schedule and performance goals by which it can measure the program's progress," wrote the GOA. The GOA recommended the DHS further analyze the costs and include that data in future planning and document plans for the proposed secondary barrier replacement in the San Diego sector. DHS official Jim Crumpacker contested the GOA's assessment in a letter published in the appendix of the report. "It is misleading and inaccurate for GAO to say that progress is not being documented or to imply that progress is not being tracked," Crumpacker wrote. He also disagreed with the report's suggestion that the DHS analyze costs before exploring operational risks. "There is nothing in the guidance prohibiting an approach that first looks at the operational priorities based on risks/threats," Crumpacker wrote.